Kick off the new year with the new season of one of the best UK comedies and a new drama starring three of Brit TV fandom’s favorite actresses — both launching in the States on Acorn TV. There’s a new drama from Down Under coming, too. Co-produced by Acorn TV, DRG, Channel X North, Lola Entertainment, and Treasure Trove Productions, the highly-anticipated third and final series of this award-winning, fan-favorite comedy reunites Mackenzie Crook (Game of Thrones, The Office, Pirates of the Caribbean), the BAFTA-winning writer and director of Detectorists, with Golden Globe, Emmy®, and BAFTA Award nominee Toby Jones (The Girl, Agatha Christie’s The Witness for the Prosecution, Marvellous) as Andy and Lance, the lovable oddball metal detecting enthusiasts. Returning for the final season are Orion Ben (Doctors), Lucy Benjamin (EastEnders), Rebecca Callard (Fearless), Paul Casar (Galavant), Laura Checkley (Cradke to Grave), Simon Farnaby (Horrible Histories), Gerard Horan (WPC 56), Divian Ladwa (Jade Dragon), Pearce Quigley (In the Dark), and Sophie Thompson (Jericho). Detectorists: Series 3, an Acorn TV Original series, premieres in the US on Monday, January 15th, exclusively on Acorn TV. 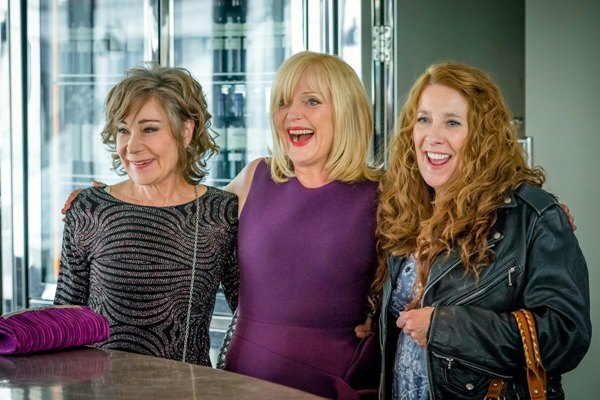 Acorn TV follows up its November US premiere of Kay Mellor’s Love, Lies and Records with the latest series from the BAFTA-winning writer: Girlfriends. Two-time Oscar® nominee Miranda Richardson (Tom & Viv, Damage, And Then There Were None), BAFTA Film Award winner Phyllis Logan (Downton Abbey, The Good Karma Hospital, Another Time, Another Place), and BAFTA Film Award nominee Zoë Wanamaker (Wilde, My Family, Agatha Christie’s Poirot) star in this six-part drama as friends struggling with the responsibilities that come with being a modern woman of a certain age. After the dramatic and sudden death of her husband, Linda (Logan) reunites with childhood friends Sue (Richardson) and Gail (Wanamaker) — each of whom is facing their own issues, from a looming divorce to the loss of a high-powered job through age discrimination, as well as juggling the responsibilities of their grandchildren and aging mothers. But as questions over the circumstances of Micky’s death arise, accusations reveal secrets, deception, and doubts that tear at the girlfriends’ friendship. 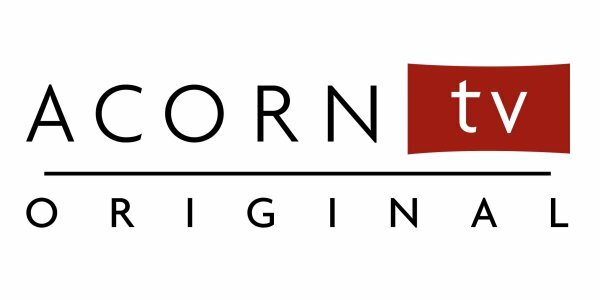 Featuring Emmett J Scanlan (The Fall, Hollyoaks), Girlfriends, an Acorn TV Original series, premieres in the US with Episodes 1 and 2 on Monday, January 29th, exclusively on Acorn TV. The remaining episodes will debut singly on successive Mondays, beginning February 5th. 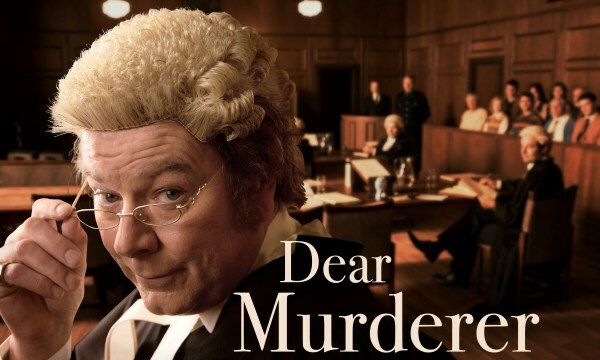 Double-award winner Mark Mitchinson (The Shannara Chronicles, Nothing Trivial, True Crime) stars in the biopic series as Mike Bungay QC, the larger-than-life barrister once described as New Zealand’s best-known criminal defense lawyer. A unique and flawed rogue, Bungay did what was necessary and occasionally impossible to defend his clients. Based on the book of the same name by his widow Ronda Bungay (née Morgan, played by Sally Stockwell, The Insiders Guide to Happiness), the five-part series spans several decades and chronicles the good and evil, rights and wrongs, and strengths and flaws of Bungay’s life — one of the most flamboyant and infamous characters in New Zealand’s legal history. Produced by Screentime (Wolf Creek) and featuring Erroll Shand (Harry) and Emmett Skilton (The Almighty Johnsons), Dear Murderer premieres in the US on Monday, January 22nd, exclusively on Acorn TV.